Special Pricing One Day Only! Thrive from the inside out: Learn how your nutrient status affects your mood, energy, weight, and overall health. • Do you find yourself feeling stressed, tired and maybe a little depressed? • Do you take prescription medicines to alleviate symptoms of certain conditions, but wonder why the condition exists at all? 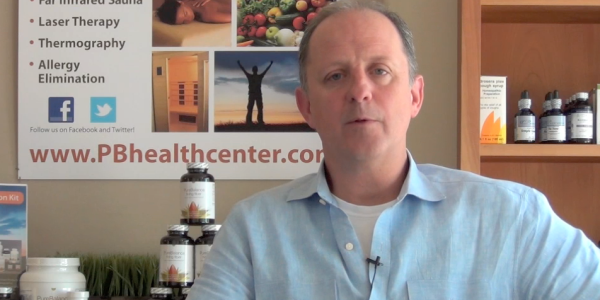 • Do you want to boost your immune system now in order to prevent chronic disease later? 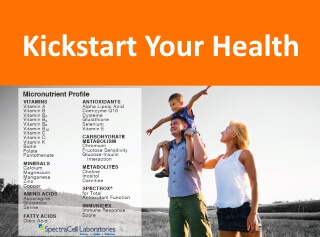 SpectraCell’s comprehensive Micronutrient analysis measures the functional levels of 31 vitamins, minerals, antioxidants, amino acids, and metabolites within your white blood cells. Nutrient levels and functional capability in these cells represent your unique nutrient status, allowing us to customize a plan to support your specific needs.